By Brian Hoey. Jan 31, 2017. 9:00 AM. In an era where people all over the world are feeling increasingly divided by matters like race and religion, we can take solace in the knowledge that, recently, Pope Francis rated Thomas Merton alongside Martin Luther King, Jr., Abraham Lincoln, and Dorothy Day as his most admired Americans. This after years of certain Catholics in the United States tried to downplay the importance of Merton’s work as a champion of interfaith understanding. Of course, the Pope is not the only Thomas Merton fan who holds a high religious office today. 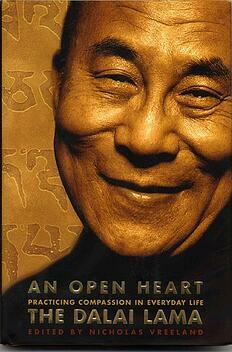 Merton also boasts the regard of His Holiness the Dalai Lama. For the uninitiated, Thomas Merton’s legacy can be a bit slippery. Born in France, Merton eventually became a Trappist monk of the Abbey of Gethsemani, Kentucky, where he would become a remarkably successful writer on religious topics. Most notable among his writing is, perhaps, The Seven Storey Mountain (1948), which chronicles his early years and is often credited with making monastic life more legible (and therefore more appealing) to many Americans. Later in life, he would become a student of comparative religions, promoting tolerance, understanding, and compassion across different faiths. Though there are some who took issue with Merton’s message, it was his assertion that he could remain ‘perfectly faithful’ to Christianity while acknowledging the value and wisdom of other religions and their respective practitioners. If the moment was a meaningful one for Merton, it was perhaps an even more defining moment for the Dalai Lama himself. Only in his 30s at the time of their meeting (Merton was already in his 50s), His Holiness felt such a spiritual connection to the Catholic monk that in future recollections he would describe him almost like a father or an older brother. He described Merton as having, "introduced me to the real meaning of the word 'Christian'," and rated him as one of the three most influential people in his life, along with Chairman Mao and his own Dharma teacher. Further, the Dalai Lama would say of Merton, “I really follow some of his examples … So for the rest of my life, the impact of meeting him will remain until my last breath. I really want to state that I make this commitment, and this will remain until my last breath.” High praise from one of the most visible spiritual figures in the world. Though Merton himself would be tragically electrocuted and die at just 53 years of age, the profound impact of this meeting on the Dalai Lama has, one hopes, been a catalyst for more compassion and understanding across faiths during the ensuing decades.